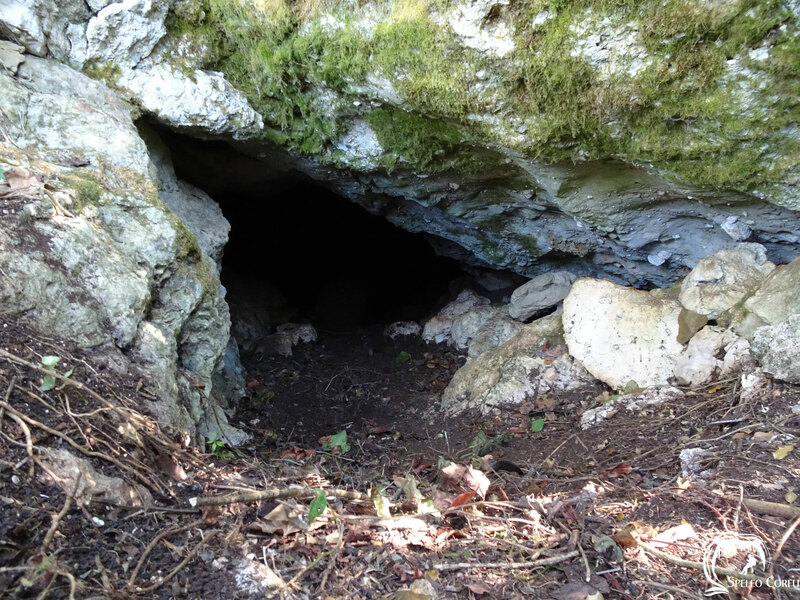 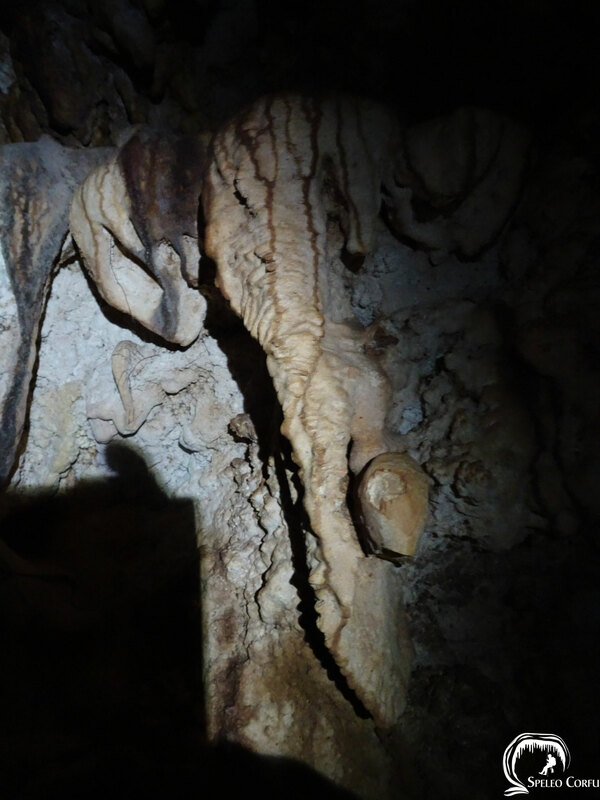 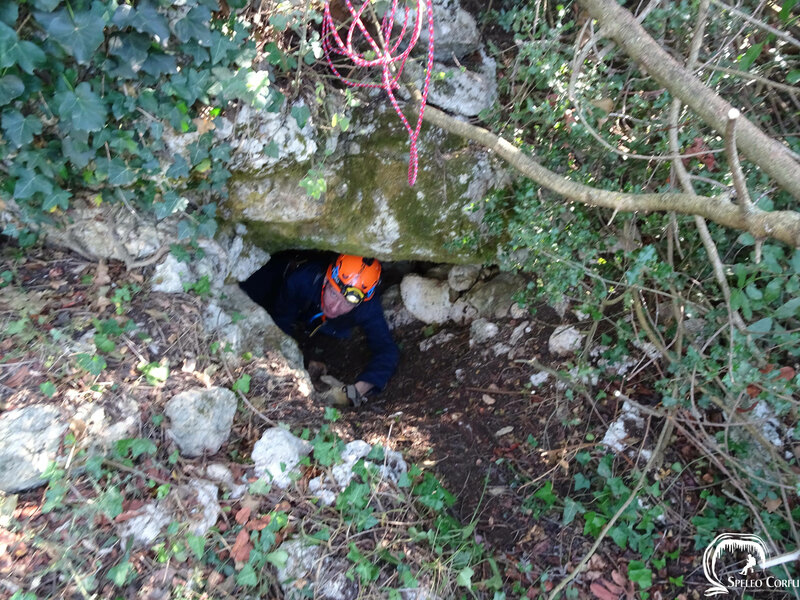 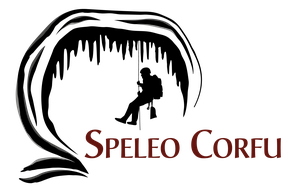 Alepotripa cave - Website about caves on the island Corfu. 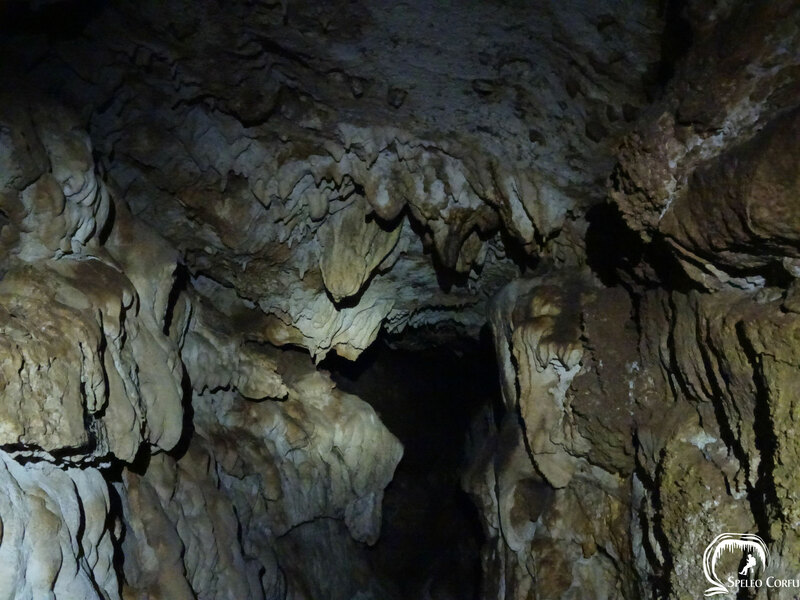 The Alepotripa cave is located in Platonas on land belonging to Tsenempi. 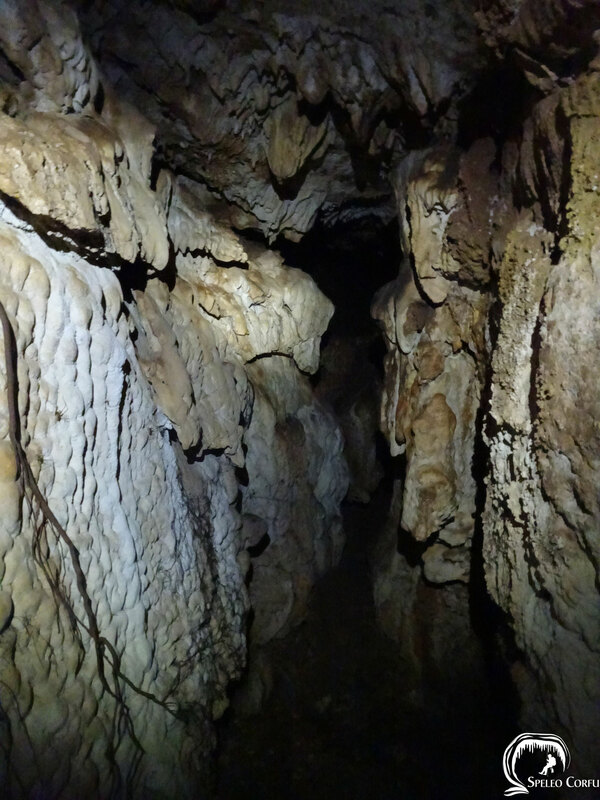 The total length of the cave does not exceed 30 metres. 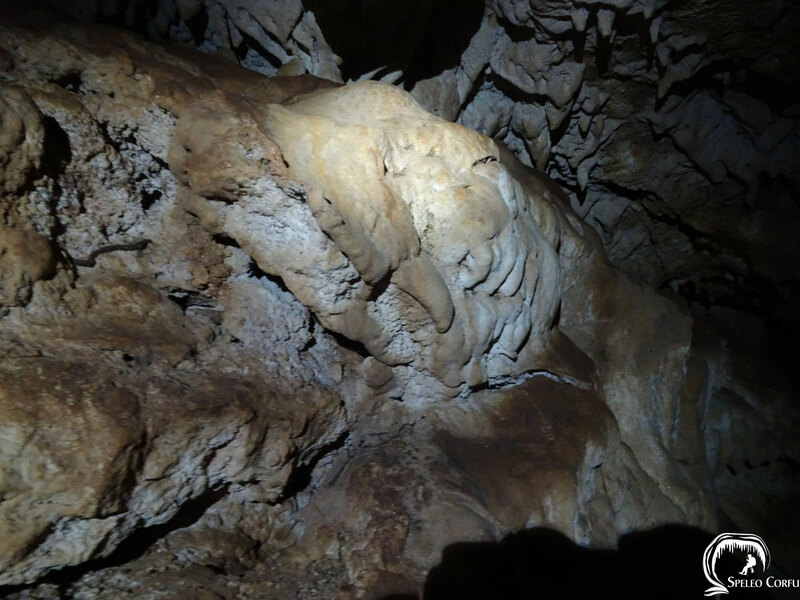 The first metres need to be belly crawled but after that the ceiling of the cave is high enough to stand. 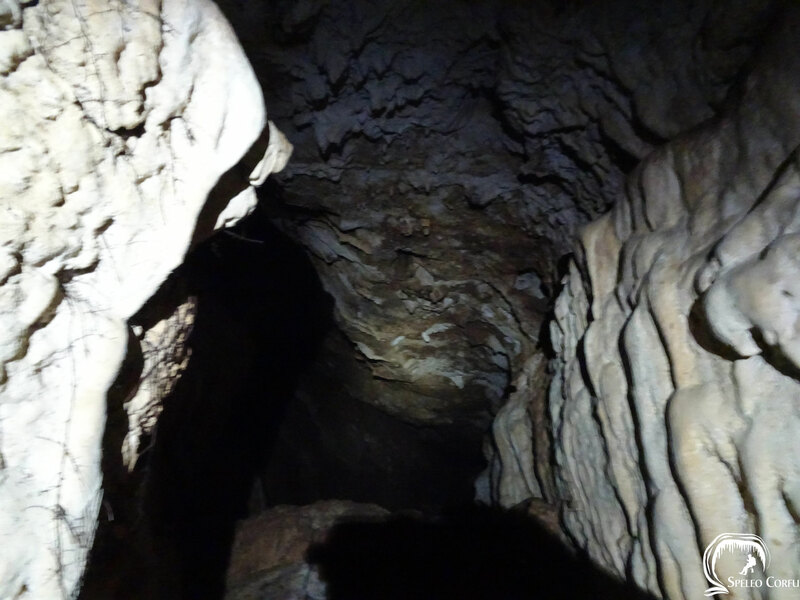 After the small chamber there is a narrow passage and a second bigger chamber. 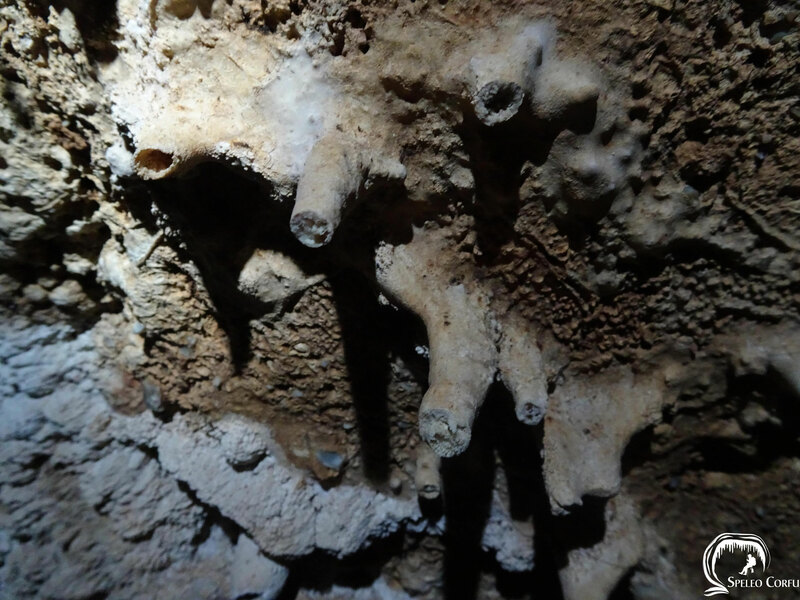 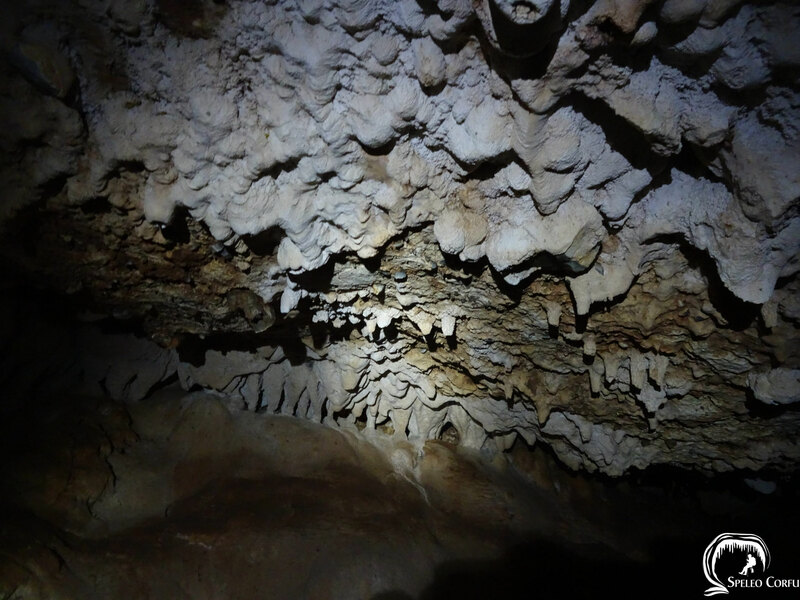 On some locations of the cave, there are stalactites. 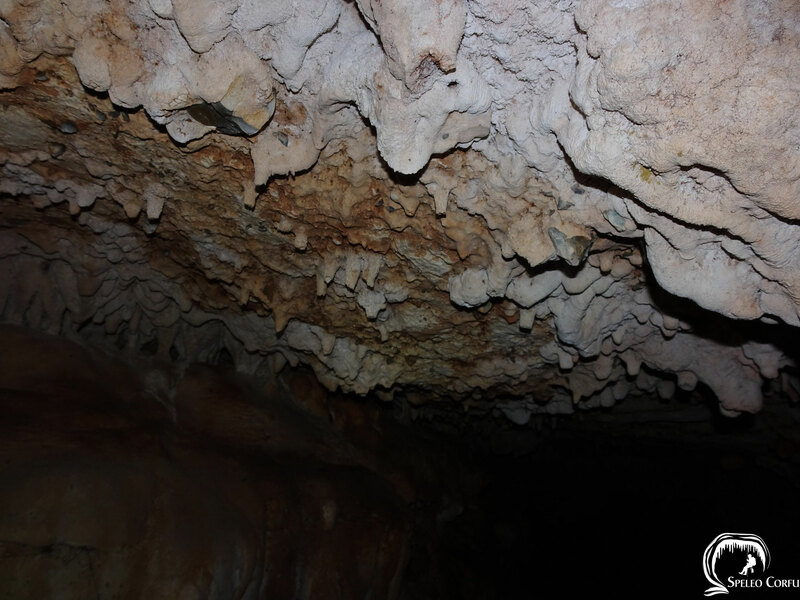 The Alepotripa cave was studied by Professor Dr. G.E. 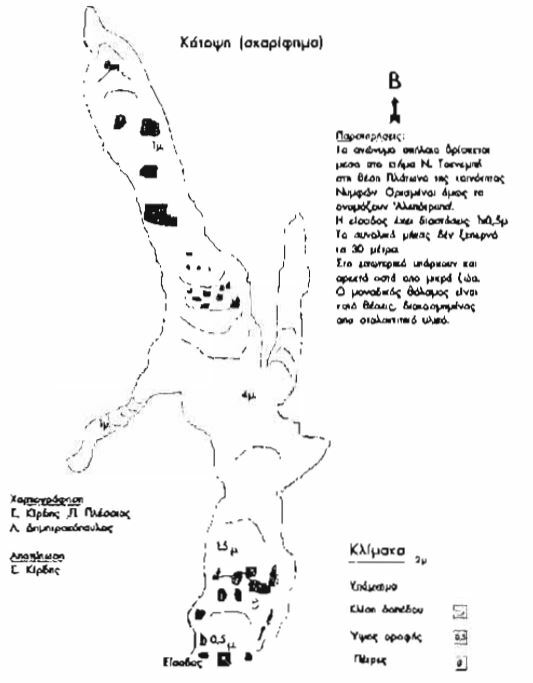 Theodorou of the Department of Historical Geology and Palaeontology of the National Kapodistrian University of Athens. 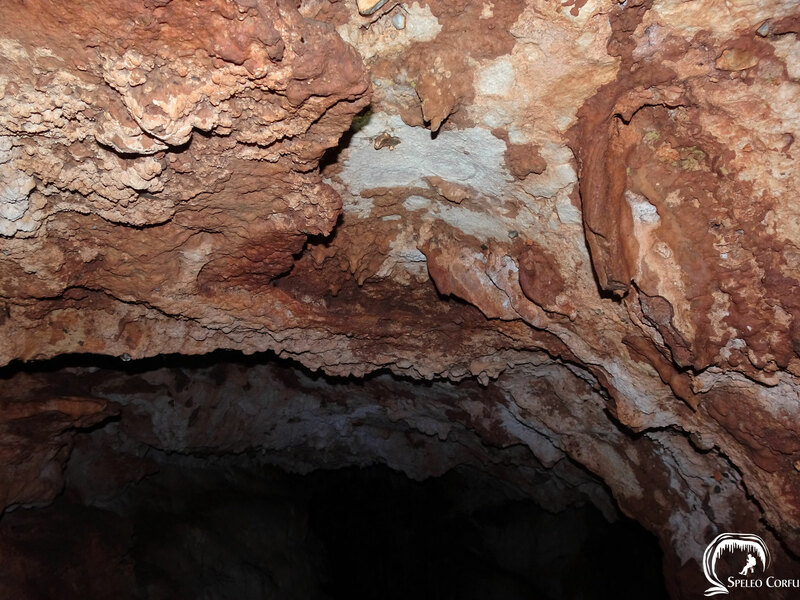 The results of his field work was published in 2000. 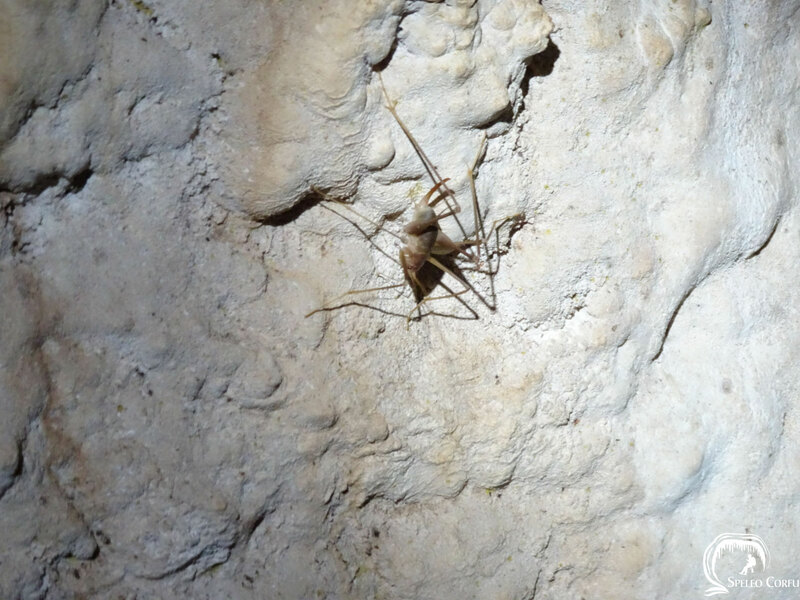 During a visit to the cave in 2018 lots of (very active) cave crickets were spotted. 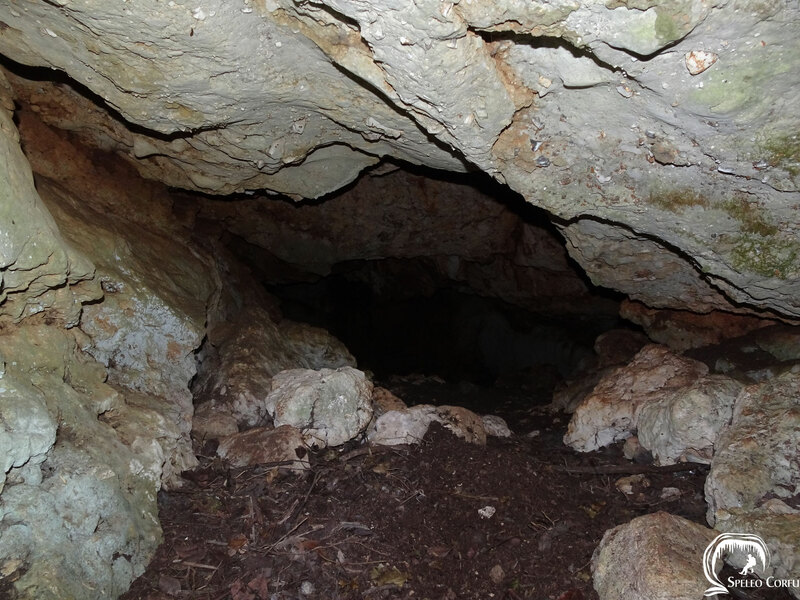 In 2017 and 2018 (not so active) Corfu cave crickets (Dolichopoda steriotisi Boudou-Saltet, 1972) were found in the Anthropograva cave in Klimatia. 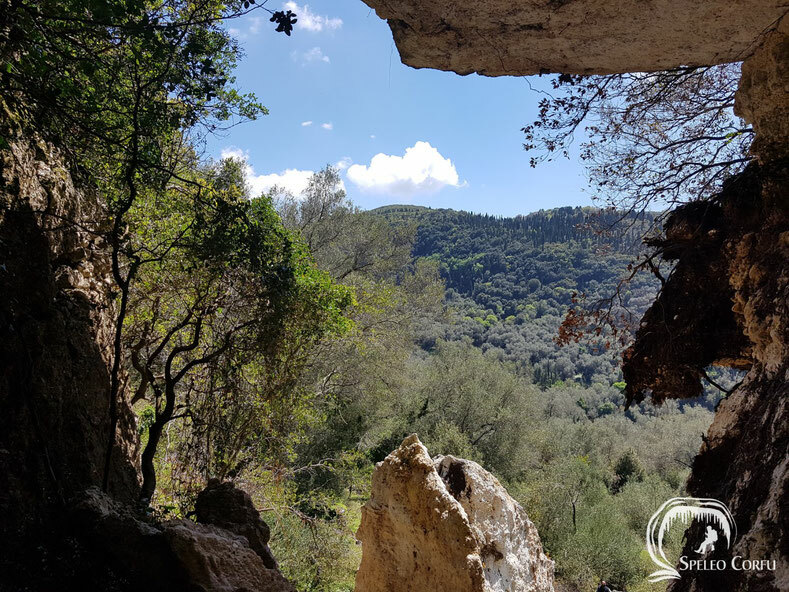 In 2018 cave crickets were also spotted in the first cave in the area Giorga in Nimfes and in the Kaminaki cave in Kaminaki. 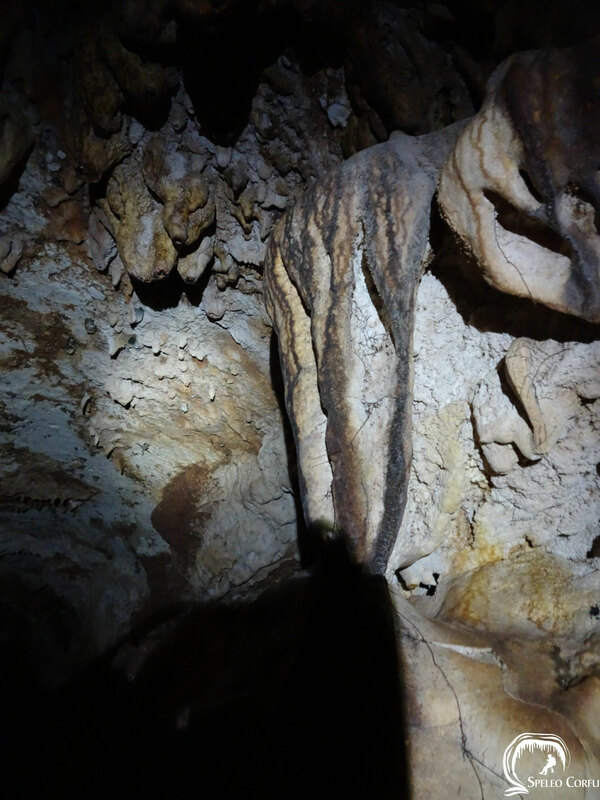 Research must determine if those are the same species. 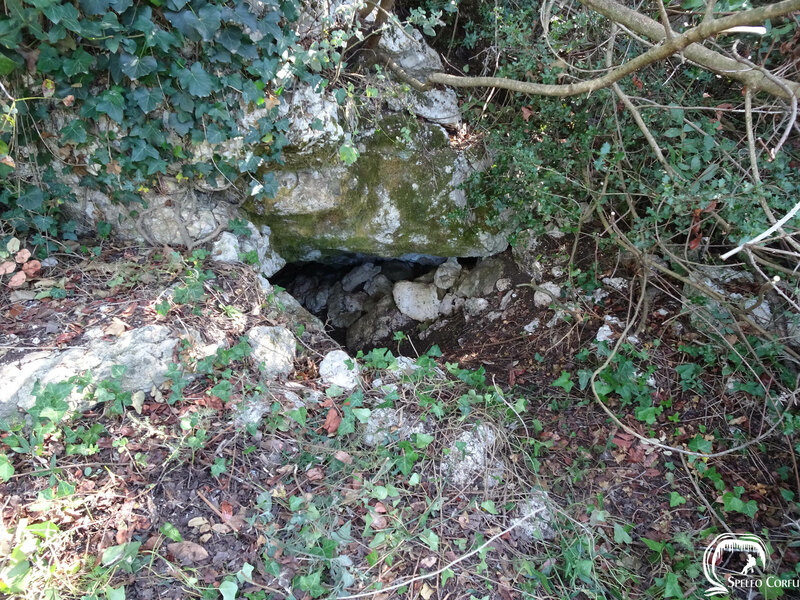 Near the entrance to the cave many chicken bones were found. 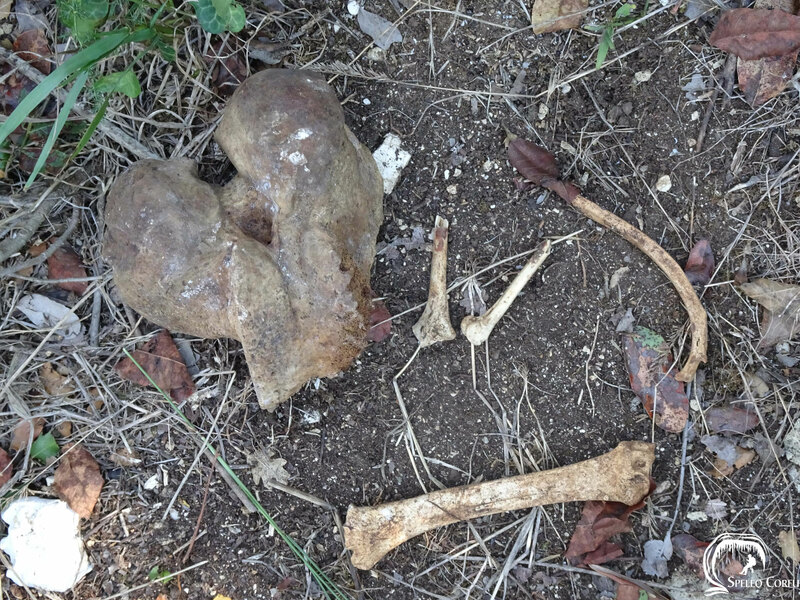 Probably the meal of a fox. 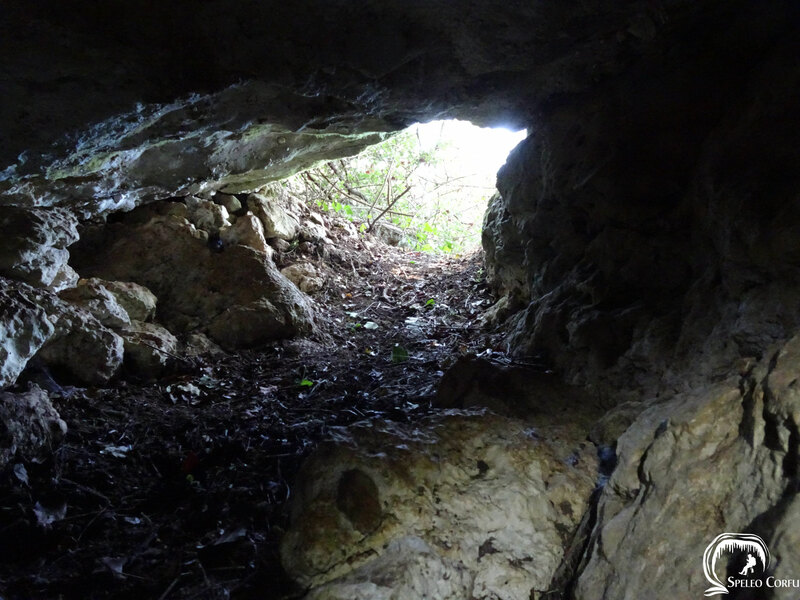 Several other animal bones were found inside the cave. 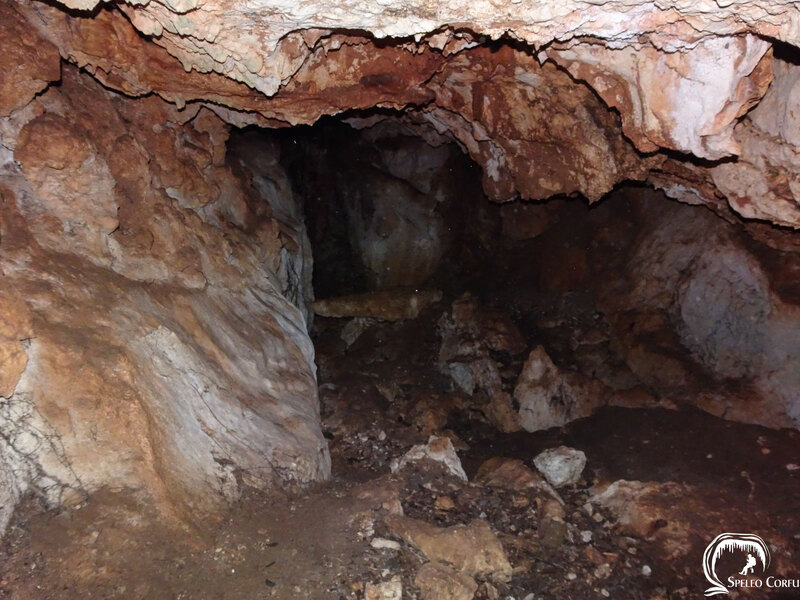 Cave record Hellenic Speleological Society ΑΣΜ ΕΣΕ 6822.